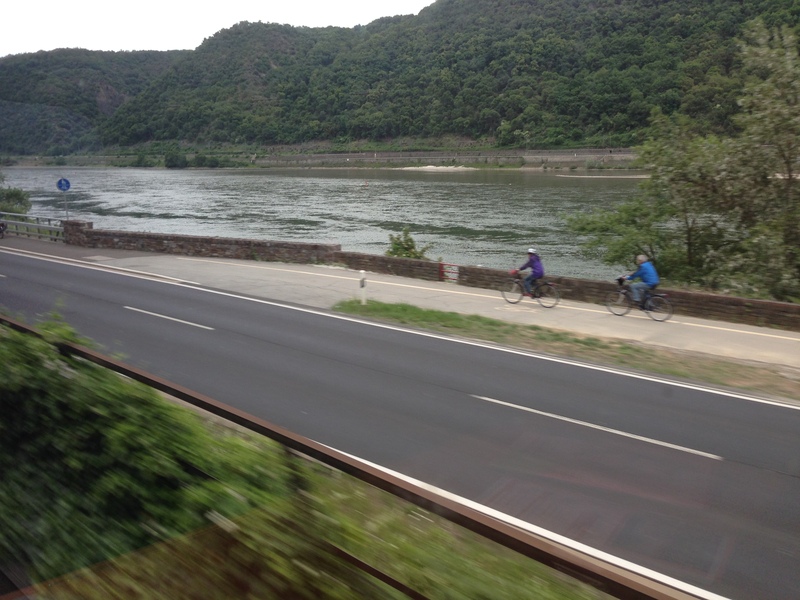 Taking the scenic route from Frankfurt to Bonn, along the Rhine River. Tomorrow, I will arrive in Bonn, Germany for the ICLEI 2014 Resilient Cities Conference. In addition to a suitcase that’s heavier than I’d prefer, I’m taking with me some big questions I’m hoping to explore through the rest of the week. 1. As people involved in making and governing cities, how are we defining resilience? What are we including and what are our blind spots? 2. When we talk about adaptive capacity, we usually are referring to the size of pipes or storm-surge walls. What does social adaptive capacity of a city look like, and who is working on building this? 4. What role does culture play in resilience? What patterns can be found among cultures around the world? 5. I’ve seen lots of adaptation plans, but not as much action. How are communities around the world doing with really implementing their plans? With overcoming the common obstacles of funding, governance, uncertainty, etc.? I’m planning to post an update on the conference each day, and hope to be able to share my explorations on these questions either during the conference, or in some follow up posts.